The lawyers at Law Offices of Jonathan F. Marshall are highly skilled in the defense of shoplifting charges. If you were arrested for the offense of shoplifting in Toms River, Jackson, Brick or elsewhere in the county, you should not underestimate the severity of this charge. While shoplifting is typically a less serious theft offense than robbery or burglary, it nevertheless results in a criminal record and penalties that are potentially substantial. These consequences make it important to hire an experienced attorney to defend allegation that you shoplifted at Ocean County Mall, Jackson Premium Outlets, Brick Plaza or another retail destination. 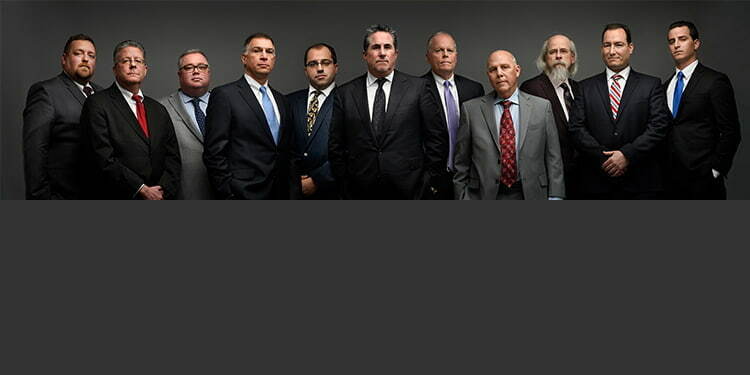 Our attorneys have defended countless clients against shoplifting charges in Ocean County with much success. The lawyers on our defense team have experience that spans over 100 years combined, including time serving as county and municipal prosecutors in Brick, Jackson, Manchester, Toms River and Stafford. We are obviously highly acquainted with the court system and offer a unique option for defending any shoplifting charge. Contact our Office to speak to an attorney about the complaint for retail theft you are facing. A lawyer will gladly conduct a knowledgeable review of your case and provide you with the counsel you need. Removes a shopping cart from the premises of a store or retail establishment. The prosecutor must establish beyond reasonable doubt that you committed one of these six acts with the purpose of permanently taking the goods or merchandise in question. If an individual is charged with shoplifting merchandise with a value of $75,000 or more, they face a second degree crime and 10 years incarceration. It is a third degree crime that carries up to 5 years in prison to shoplift clothes, electronics or other property having a value of more than $500 but less than $75,000. Stealing goods valued at $200 to $500 is a fourth degree crime that results in up to 18 months in prison. It is a disorderly persons offense to shoplift goods with a value of less than $200 resulting in up to 6 months of incarceration at the county jail. Prosecutors are permitted to aggregate the value of stolen merchandise in determining the grade of shoplifting to be charged. For example, if an individual is arrested for stealing items at three different stores in one continuing incident, the value of the merchandise can be added together to compute the degree of crime. The maximum fines that may be imposed for shoplifting are $150,000, $15,000, $10,000 and $1,000 for second degree shoplifting, third degree shoplifting, fourth degree shoplifting and a disorderly persons offense for shoplifting respectively. Shoplifting is a very common charge in Ocean County although it can have life-altering ramifications. If you or someone you know has been charged with a shoplifting offense in Lakewood, Berkeley, Lacey, Seaside Heights, Little Egg Harbor or another municipality in Ocean County, the attorneys at Law Offices of Jonathan F. Marshall can help you reduce or eliminate these charges. Our criminal lawyers have been successfully defending shoplifting offenses in this county for decades and have the skill necessary to prepare an effective defense. Do not face a shoplifting violation without the benefit of a knowledgeable attorney who is committed to your case like those at our firm. A lawyer is ready to help you now at (732) 286-6500. Law Offices of Jonathan F. Marshall, 250 Washington Street, Toms River, NJ 08753, represents clients charged with shoplifting in Toms River, Jackson, Brick Township, Manchester, Stafford, Lakewood, Berkeley, Lacey, Seaside Heights, Little Egg Harbor and elsewhere in Ocean County.